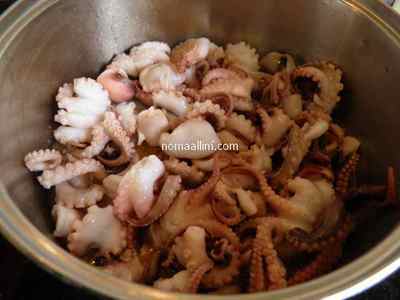 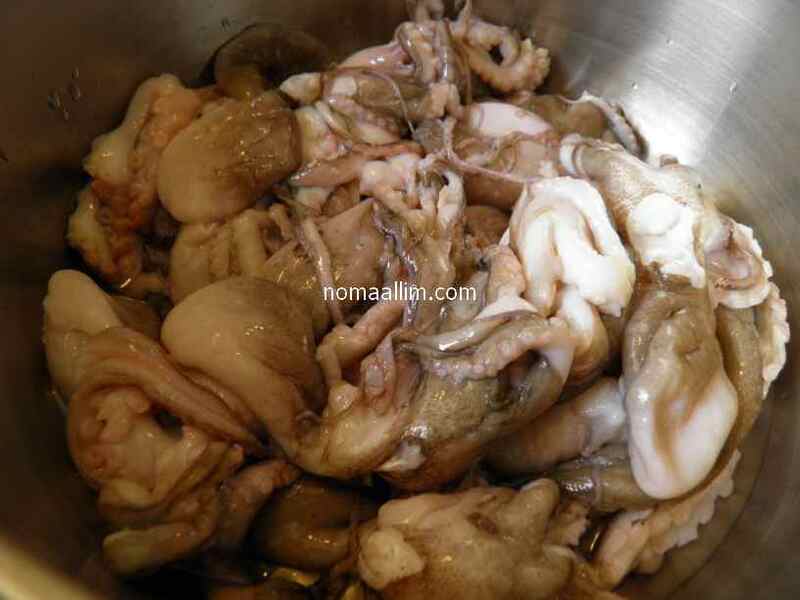 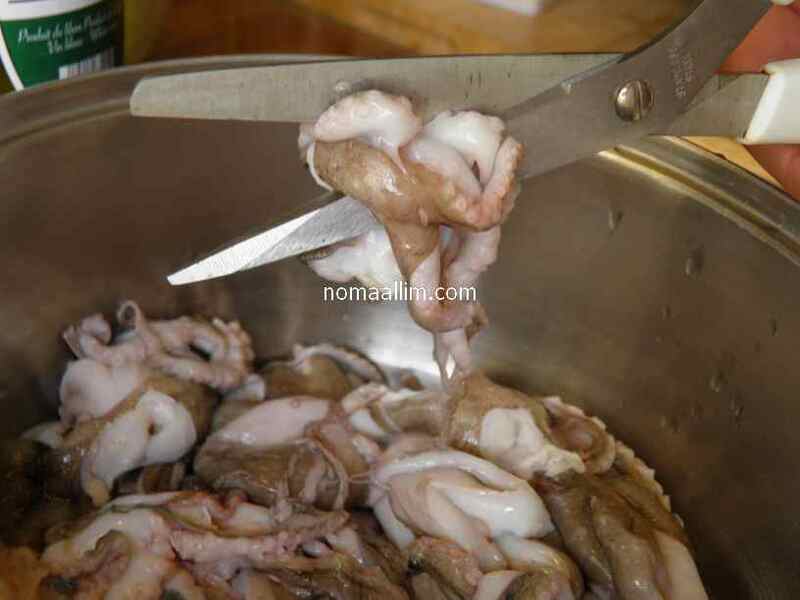 Cut the octopus with kitchen scissors in a manner to separate every 2-3 legs and the head. 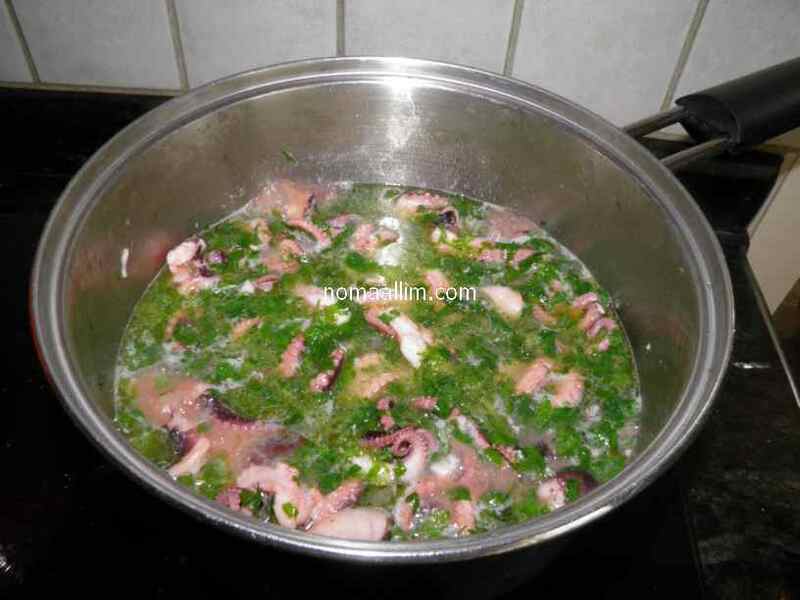 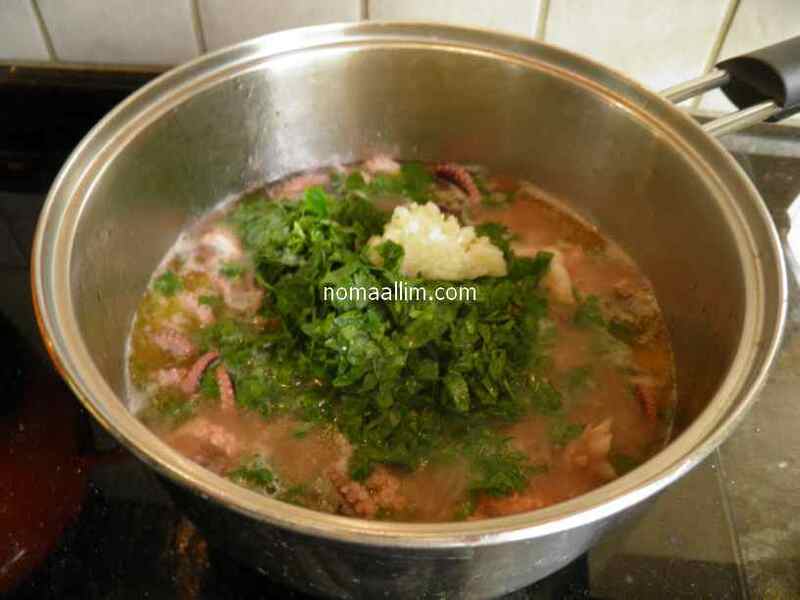 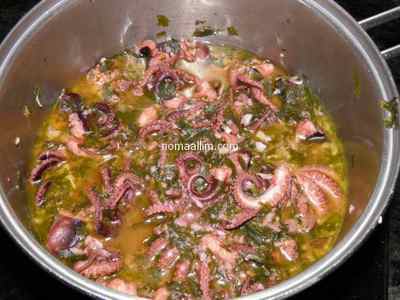 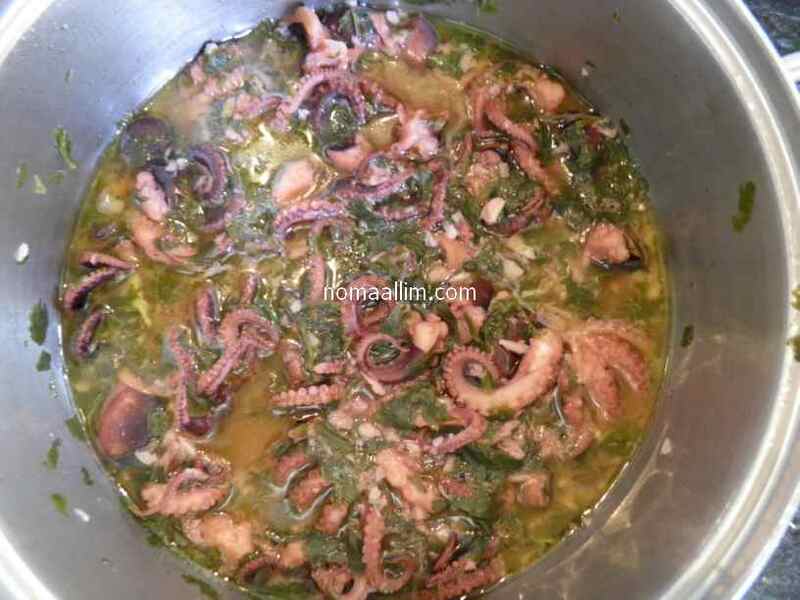 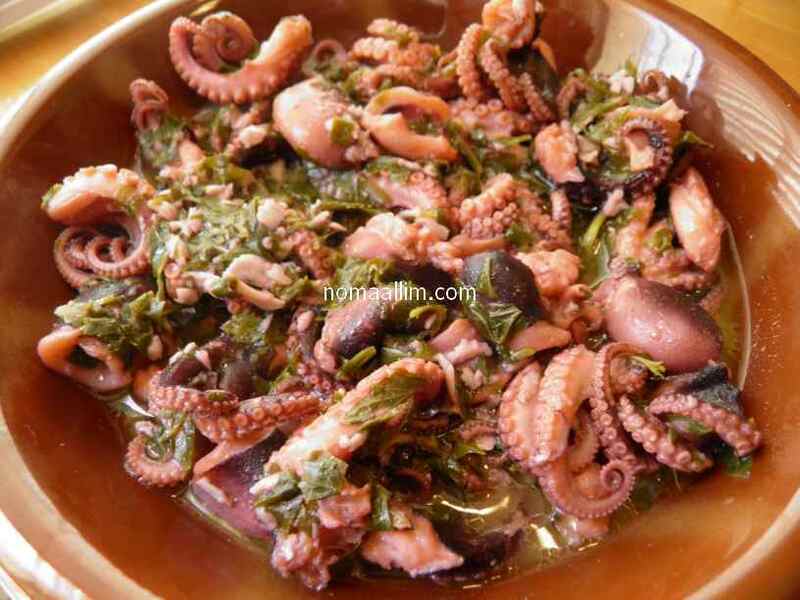 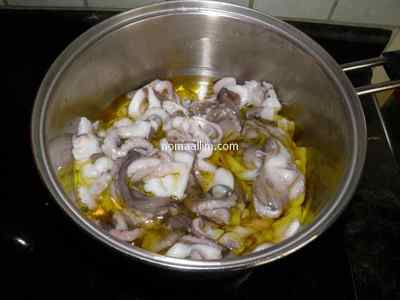 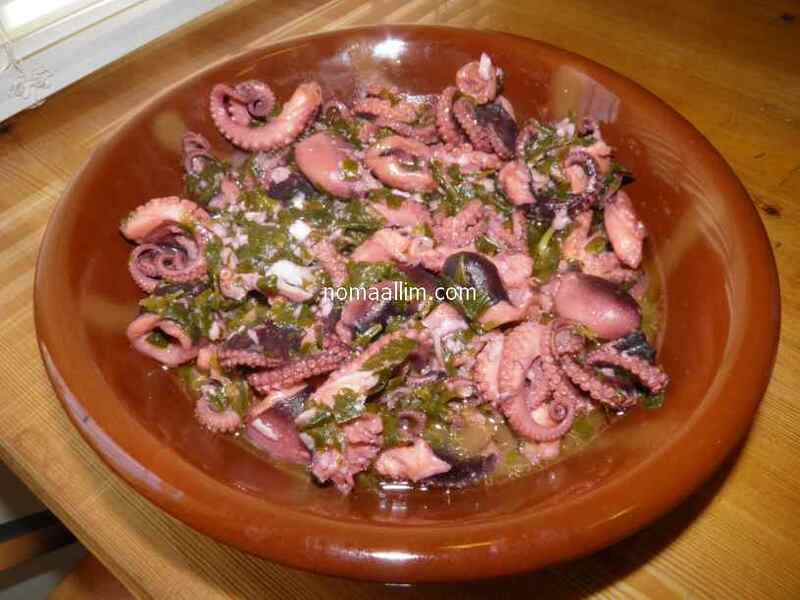 Add the white wine, garlic and parsley as soon as the octopus turns red as shown in the left picture. 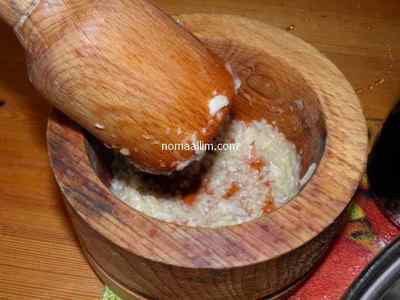 Continue cooking and keep tasting from time to time. Add salt as needed. 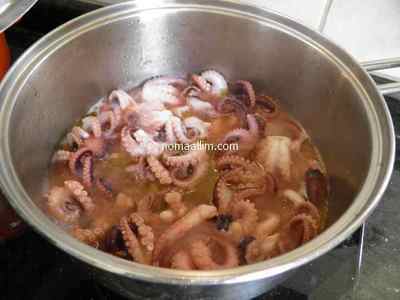 The octopus will be ready when tender enough. The final color will look like the picture to the right. 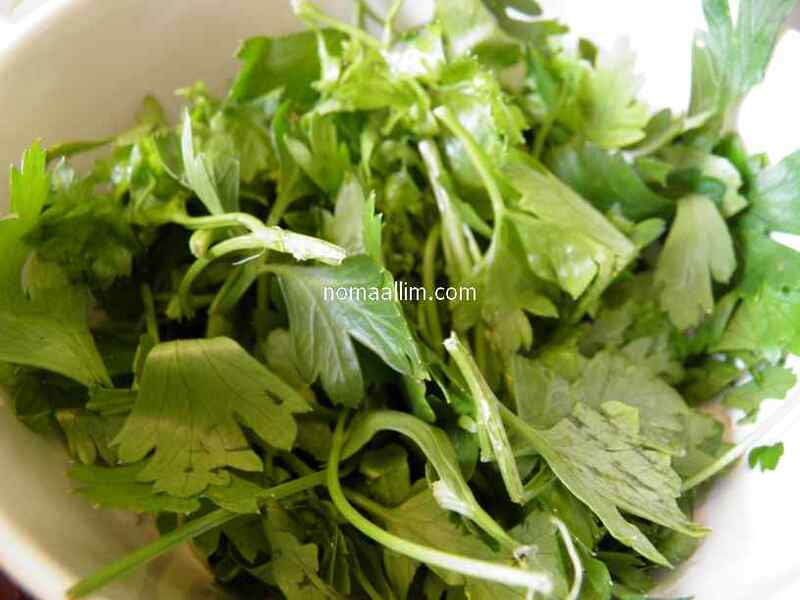 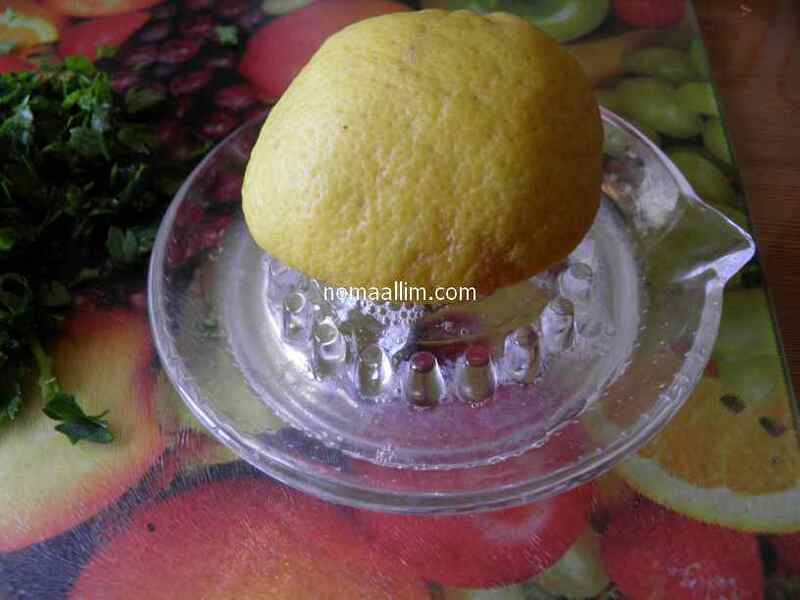 Serve in a deep plate and add the lemon juice.